Kellogg SA has a public fuming and confused about its off-trend recipe change to its beloved Rice Krispies? Here’s a follow up story on the launch of Rice Krispies Vanilla…. Judging from the wall of hate on social media, the launch of new versions of Rice Krispies, Coco Pops and Strawberry Pops in South Africa has not gone smoothly for Kellogg’s, reports Business Insider SA. The move from single grain to whole-grain in both Coco Pops and Strawberry Pops did not receive an altogether enthusiastic response, its seems. But the changes to Rice Krispies – now known as Rice Krispies Vanilla – sparked the bigger outrage. 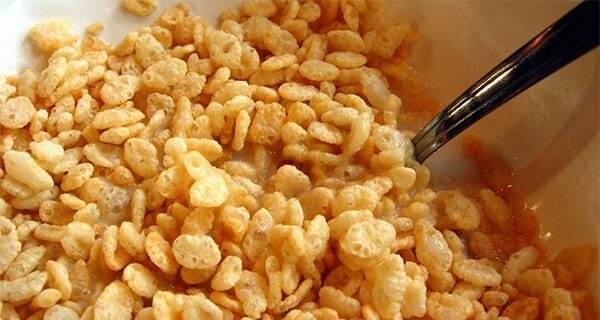 But in South Africa, the US company replaced the rice in Rice Krispies with a new formulation. Rice now represents only 48% of Rice Krispies – from 89.8% before. Corn flour (13%) (which may be genetically modified, according to the company) as well as whole wheat flour (10%) are some of the new ingredients. In addition, the company added much more sugar. “In order to enhance the crispiness of Rice Krispies Vanilla, the new formula does have a thin coating of sugar – which is equivalent to 1.5 teaspoon per serving,” said Xolile Mbatha, director of research, nutrition and development at Kellogg’s South Africa. The new Rice Krispies Vanilla now contains 21.7g sugar for every 100g – from only 9g previously. Mbatha says the new recipe was tested among 400 mothers and kids, half of whom ate Rice Krispies regularly. The other half were either new or “lapsed” Rice Krispies eaters. 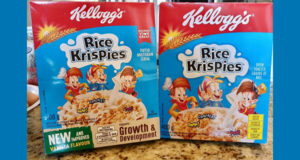 Rice Krispies Vanilla is also available in Canada, but Mbatha says the local version was specifically formulated for the South African palate. The rest of the world apparently still has traditional Rice Krispies. She added that the company has seen some “uplift in sales” since the launch of the new Rice Krispies in July, after the company shared samples “which helped to engage with new/lapsed users”. But Business Insider South Africa could not see any enthusiasm for the change in hundreds of social media messages, both on Kellogg’s platforms and consumer websites. On its website, the company has set up a separate channel to deal with feedback on Rice Krispies and Coco Pops. Kellogg’s didn’t directly comment on Business Insider’s question whether it would consider bringing back the old Rice Krispies. It is recommending that those unhappy with the new Rice Krispies try Kellogg’s Corn Flakes – “crisp, light flakes of sun-ripened corn that not only taste good but also give your family a nutritious start to the day”.